So it’s home tomorrow – let’s not trouble ourselves with the question they ask in Portadown, ‘When are you coming home again?’ I suspect that that is the discourse of a community hardened to emigration. It’s home tomorrow – rested and refreshed, thank you very much. 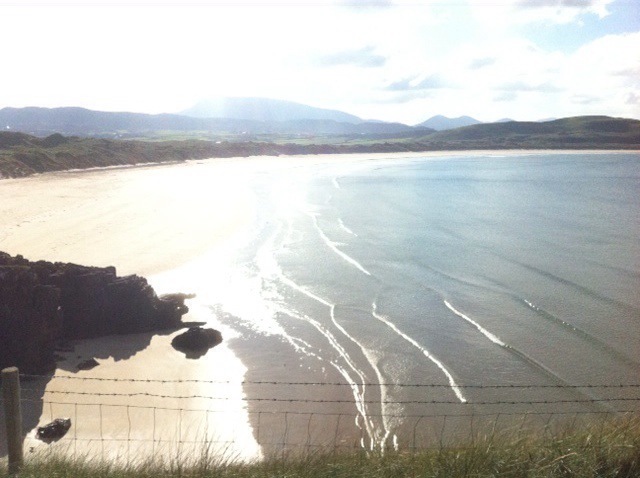 The weather has been remarkably good, as it sometimes is in Donegal in the Autumn. These pictures were all taken within a mile or two of Blogstead na Mara. The first is the sun on the incoming tide at Tramore Beach which faces out to the North Atlantic. 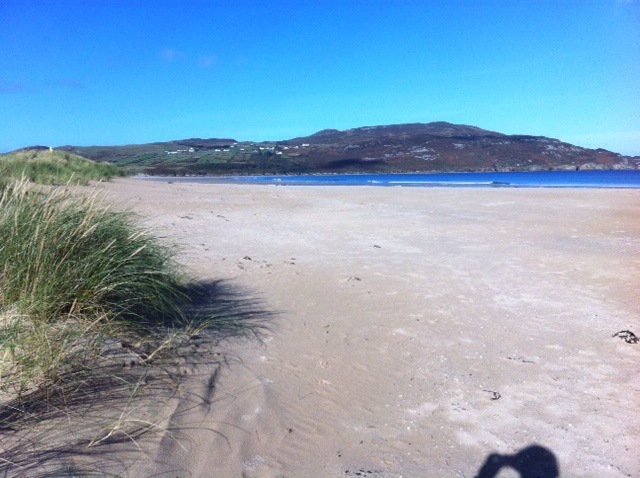 Then Killyhoey Strand along which we walk to Dunfanaghy village. 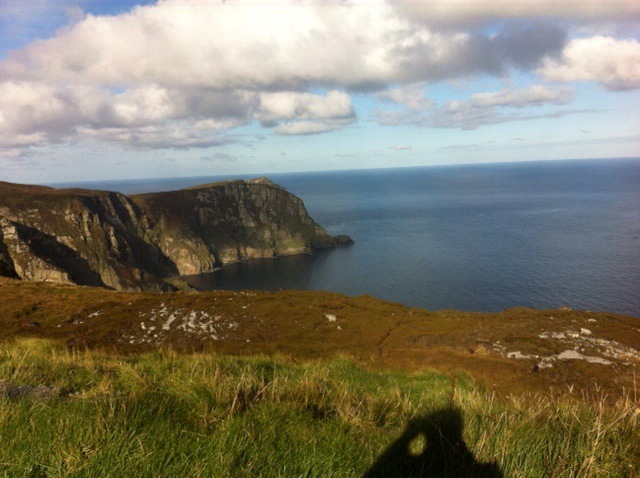 And the the sea cliffs at Horn Head jutting out towards Tory Island. Meanwhile in Patsy Dan’s the Guinness has been creamy – the beaches have been as deserted as ever – conversation in the village becomes recreation as the visitors depart and they settle in for the long winter – the Kindle tells me that I have 96 more hours of reading before I finish Trollope’s Palliser novels. One could easily go native ….